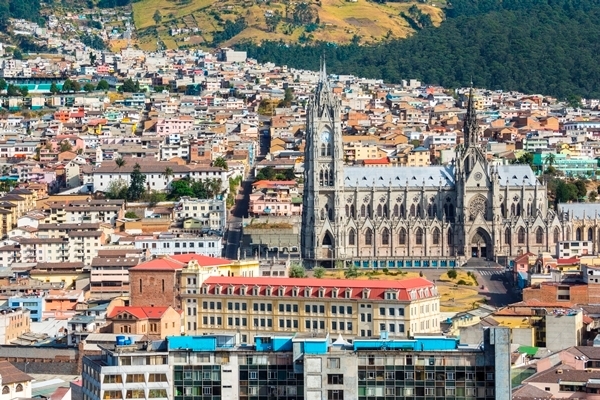 The Inter-American Development Bank (IDB) will have a strong presence in the Habitat III Conference to be held in Quito, Ecuador, Oct. 17-20, 2016. During the conference, IDB experts will discuss the main challenges that Latin American cities will be facing in coming decades from an environmental and fiscal sustainability perspective, as well as mobility, water and sanitation and energy issues. This event will discuss the importance of road safety and its relation to public transportation policies, urban planning and people-centered transportation. It will also present the winners of the “Gobernarte - Premio Eduardo Campos” award in the category of innovating cities on road safety improvement issues. What will the cities of the future look like? At this event, renowned public sector leaders will explore how technological advances will change future city governance and government-citizens interaction. They will also analyze the urban infrastructure financing and climate change challenges. The meeting will take place Monday, Oct. 17, 12:00 noon at the IDB stand located in the Habitat III site outside the National Assembly, area F #152. The IDB stand will also host a series of live talks where innovation and urban development experts will share ideas that will transform Latin American cities in decades to come. Following the live talks listed below, the specialists will be available to interested media. 11:00 - 11:30 a.m. Sustainable cities' main planning challenges. 11:00 - 11:30 a.m. Today’s children are tomorrow’s citizens: why the quality of daycare is important. Where: IDB stand located in the Habitat III site outside the National Assembly, area G #152.